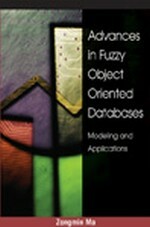 This chapter uses a spatially explicit, individual-based ecological modeling problem to illustrate an approach to managing fuzziness in spatial databases that accommodates the use of nonfuzzy as well as fuzzy representations of geographic databases. The approach taken here uses the Extensible Component Objects for Constructing Observable Simulation Models (ECO-COSM) system loosely coupled with geographic information systems. ECO-COSM Probe objects flexibly express the contents of a spatial database within the context of an individualized fuzzy schema. It affords the ability to transform traditional nonfuzzy spatial data into fuzzy sets that capture the uncertainty inherent in the data and model’s semantic structure. The ecological modeling problem was used to illustrate how combining Probes and ProbeWrappers with Agent objects affords a flexible means of handling semantic variation and is an effective approach to utilizing heterogeneous sources of spatial data.